The flowering period of glycinias, those lilac or violet climbing flowers arranged in bunches, is starting now. 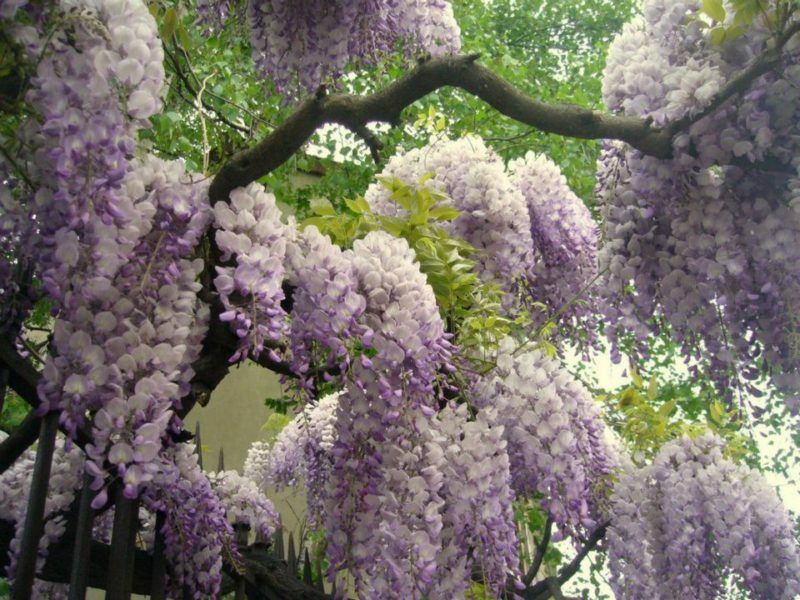 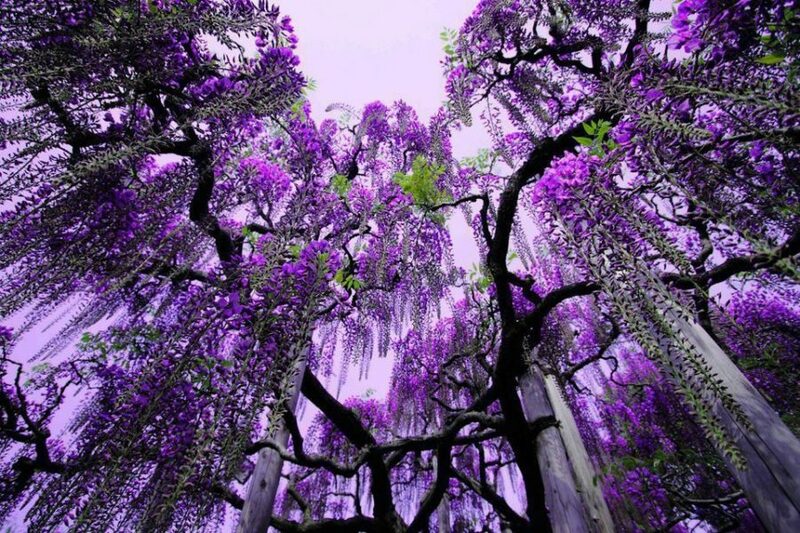 The scientific name, Wisteria, is in honor of the anthropologist Kaspar Wistar. Germans know the flower as Blauregen”, meaning “blue rain” while Chinese use to call it “Zi Teng”, it says, “blue lives”. 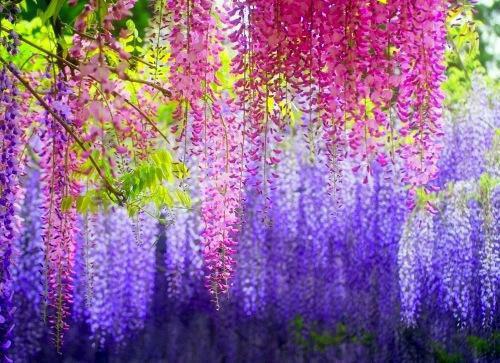 The first Wisterias arrived in Europe in 1816, through the English captain Welbank, who found them out in the month of May having dinner together with a rich trader from Guangzhou, under a pergola, covered with flowering wisterias. 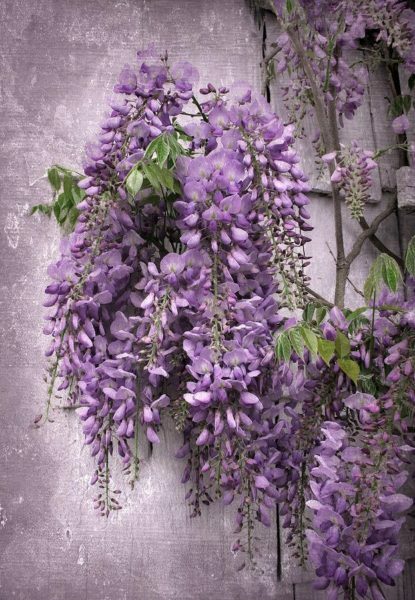 According to a local legend from Piedmont, in Italy, a young girl called Wisteria was feeling self-conscious owing her physical aspect, which considered it as unpleasant. 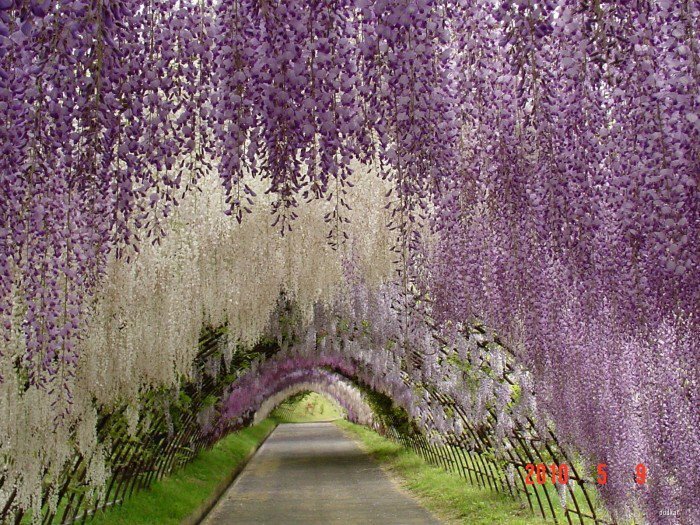 One day, she felt so desperate that she burst into tears in the middle the meadows, when suddenly; those tears became wonderful flowering wisterias. 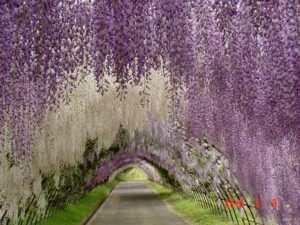 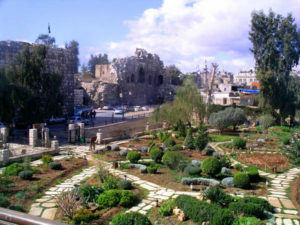 Therefore, those flowers are an inspiration for all kind of sensations, legends and landscape designs, like the spectacular K Gardens. 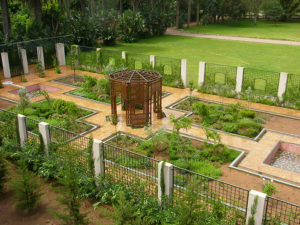 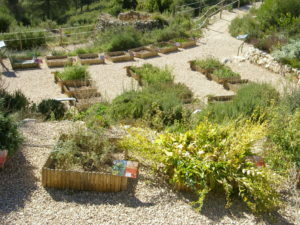 This entry was posted in Blogs, Vegetal art and tagged flowers, Forest, Glicinias, Glycinias, nature.